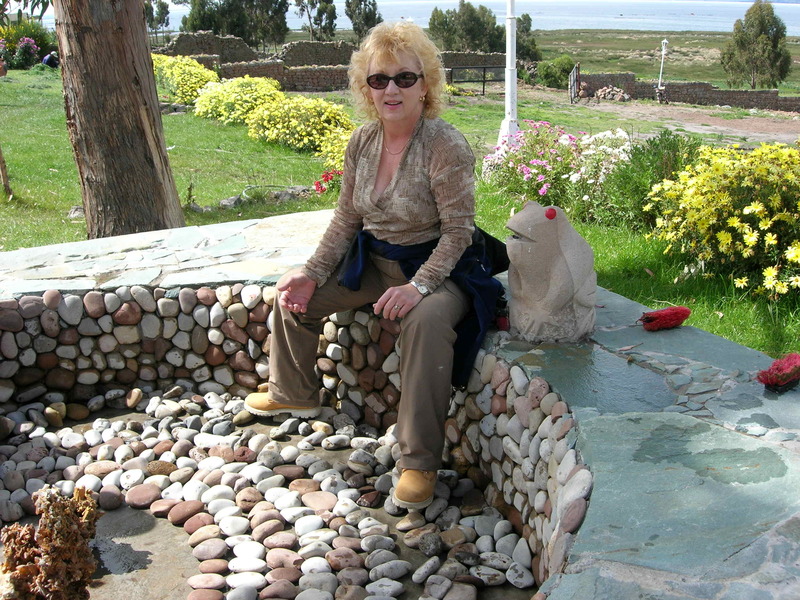 Once I had arrived in Peru, my first priority was to introduce myself to the land and to Lake Titicaca. The morning after our arrival, I breathed in the sweet smell of Peru and took my time, as one would do with a new lover. I took coca leaves with me down to a grandfather tree at the edge of the gardens, made a k’intu, a little fan-shaped arrangement of three coca leaves, and entered a prayerful state of consciousness. In that state, I introduced myself to the land and to the lake, spoke of my purpose for being in Peru, and offered my respect. Then I gently breathed blessing into the coca leaves, raised them to the sun, and let the wind take them. Afterwards, I walked down to the lake and began to get a feel for her. Lake Titicaca is considered to be the epicenter of feminine energy on planet Earth and I immediately felt her tug at my quosqo (the energy center around the navel). I felt connected to her—even felt that I was at her service. Later I walked the labyrinth on the property, enjoyed the gardens, and helped some groundskeepers clean the stones in one of the pools. I had come to Peru on a service trip, to help Jorge Luis and the shamans and elders gathering at the lake activate the Solar Disc. It seemed to me that anything I could do on behalf of this important cause was a worthy thing to do. The hotel belonged to Jorge, the pool was a part of the hotel, and everyone involved in the Solar Disc activation was gathering at the hotel. If stones needed to be washed, then I would wash stones. I climbed into the empty pool, looked at the rather startled men scrubbing away at the stones, picked up a brush, and joined in. They seemed amused by the crazy lady scrubbing slime off the stones and made an attempt to communicate. Even though I knew almost no words in the local language and they knew no English, before long, we were laughing and interacting as we meticulously washed the stones. I had made some friends. But it wasn’t quite all bliss. Because of the nature of the trip and the work to be done, I knew that my time in Peru could, and probably would, surface my “stuff”—my internal detritus. Lisa (my longtime friend and the ringleader of the Denver contingent) and I had discussed it numerous times and had done plenty of internal clearing in preparation for the trip. Still, I knew that whatever needed to come up for review was likely to. And it did, my second morning there. No warning. Like a sniper attack in the well-intentioned jihad for my spiritual sanity, ordered by kindly helping spirits—but painful, just the same—I found myself knocked off center and feeling vulnerable during a conversation with Jorge Luis, himself. I saw it for what it was: my stuff coming up. Once the conversation was over, I felt my feelings, explored my thoughts, meditated, and shed a few tears. And I breathed a few prayers of gratitude for all the hucha clearing I’d done before coming to Peru. Then I did a little more hucha clearing. And then I went exploring again. I’d heard that there was a temple in Chucuito and I set off on foot to find it. It had been referred to both as a sun temple and as a fertility temple by some fellow travelers, but a merchant in town frowned at the notion that it might be considered a sun temple and insisted that it was only a fertility temple. The merchant pointed me in a direction. Still, I wasn’t quite sure where it was and stopped, past the plaza and church, at an area that was walled off. An old Peruvian man stood at the locked gate awaiting entrance and a young man—very blonde and very white—came to let him in. The young man, clearly an American, told me that it was a retirement home for the very elderly and that the people staying there were very poor. I asked what had brought him to this small retirement home in this small town in Peru and he told me that he had just completed college and was there doing service work—repairing, building, and fixing things up. He would be leaving in a few days to work elsewhere. We chatted about his work, our homes in America, and the fact that many shamans from around Peru and around the world would be congregating very close to where he was in just a couple of days. He was startled by the news . . . but no more startled than I had been to find him in Chucuito. He pointed to the temple (Inca Uyo), which I had just passed. I backtracked, paid my two dollars to get in, and was promptly taken in hand by a young girl who looked no more than seven or eight. She was quickly joined by a slightly older boy and the two of them chaperoned me. 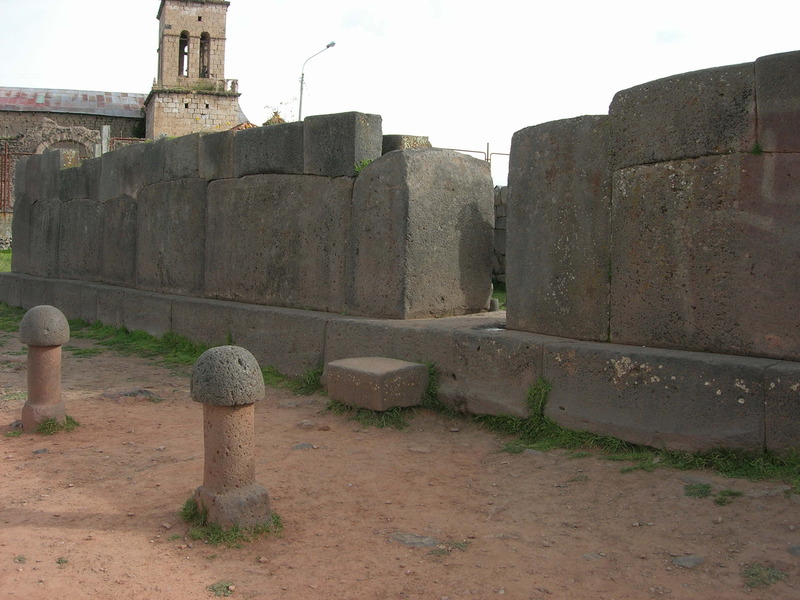 The phallic looking statues peppering the grounds suggested that it was, indeed, a fertility temple. The tour was quick. Within a couple of minutes, the girl began calling out what sounded like, “Finis! Finis!” and kept repeating a word I did not understand. (Of course, “finis” is Latin for “finished.” She certainly was not speaking Spanish and I had no sense of whether she could have been speaking in Aymara, the local language.) But I wasn’t finished experiencing the site and the boy was more accommodating. He pointed out several things of interest, the girl continuing to call out quite insistently and becoming more and more agitated the longer the tour took. When she rubbed her thumb against her index and middle fingers and looked at me with disdain, I finally understood that she was not only insisting that the tour was over, but that she wanted money for the quick spin around the grounds. I had been at the temple but a few minutes. The two had chastised me when I suggested I just wander the grounds on my own. My head was spinning from the brush-off. I gave her a dollar. The boy demanded one too, but I’d had enough of the merchant urchins by then and simply turned and walked away. The fellow travelers who had been to the temple before me had been enchanted by the delightful, loving children who had given them a tour. Their guides were clearly quite poor and equally sweet. But the boy and girl who ushered me were wearing designer duds and seemed to have affection only for making a buck. The boy at least had basic manners, but the girl was both disrespectful and pushy. 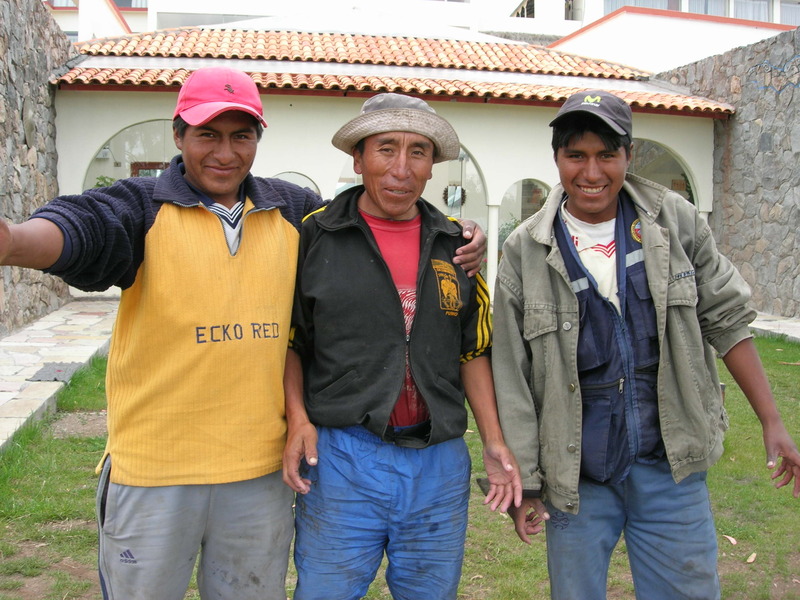 Yes, it can be said that the majority of Peruvians are not particularly well off, a condition that has spawned many little entrepreneurs. And, no doubt, some tourists are less than respectful of the Peruvian culture, people, and land. But the chasm between my friends’ experience and mine was a vivid and pointed message that Peruvian children, like people everywhere, are not generalizable. Days unfold and reveal themselves to us regardless of where we are, but sometimes we are more cognizant of it, on alert for what might transpire. This day had more to reveal. 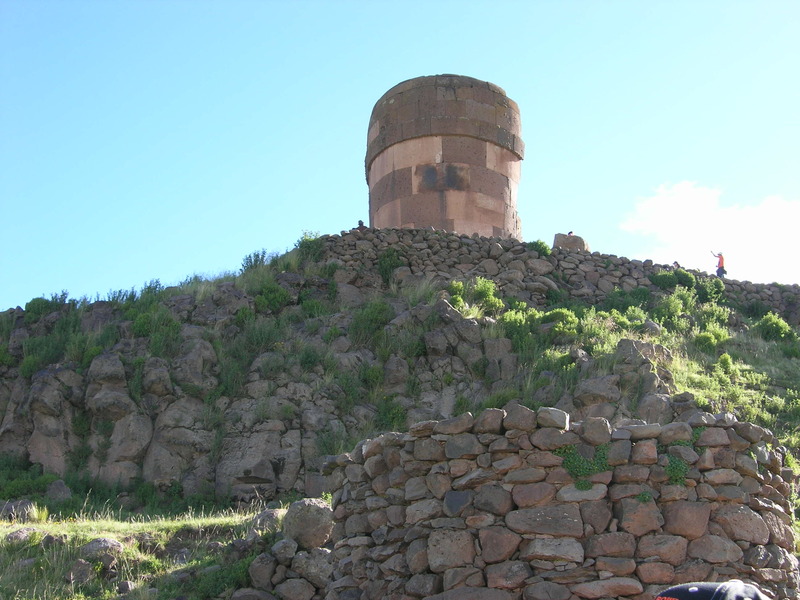 We were taking a side trip to Sillustani—a place known for its UFO activity. The day was already revealing itself as being just a little disconcerting and odd. I wondered what was next.